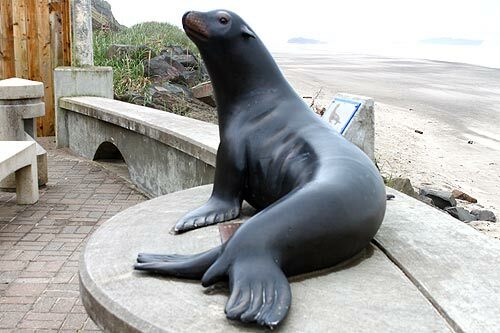 (Lincoln City, Oregon) – For about about a week or two in the early 1930's, the area that would eventually be known as Lincoln City had a kind of sea lion mascot and a sizable claim to fame. 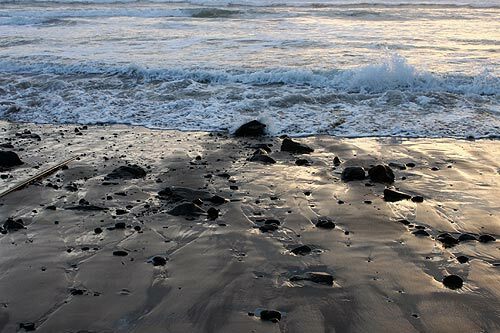 The big barking beast brought thousands to the tiny Oregon coast hamlet, a major feat at the time as these beaches hardly saw that kind of traffic back then. Indeed, Highway 101 wasn't even completely finished. 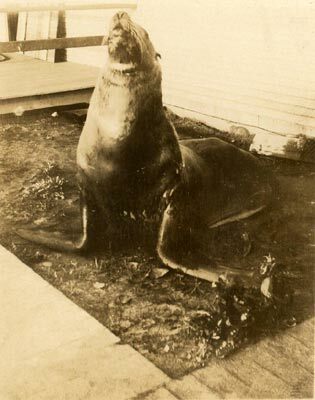 (Historical photos courtesy North Lincoln County Historical Museum in Lincoln City). 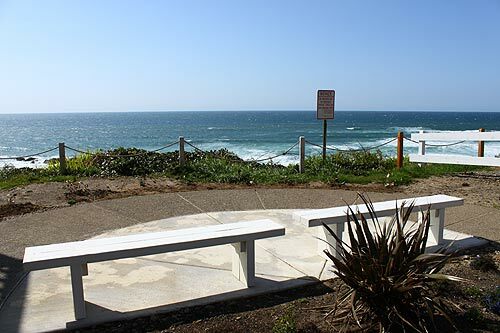 The little village of Nelscott is one of seven that would incorporate into Lincoln City in the early 60's, but back then it was a beachy backwater place during the pre-war years that barely had paved roads. 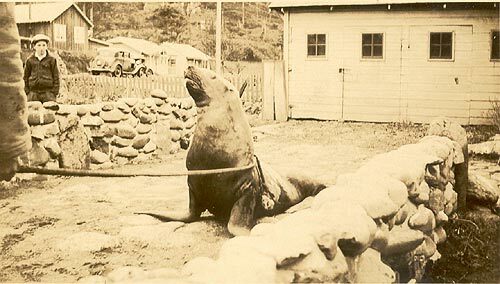 Yet for a brief time it had Joe the Sea Lion - as someone named him - who briefly became an honorary citizen and a major tourist attraction, before such things existed on the central coast. The result of Joe's brief time there was a wacky tale of human-sea lion diplomacy, goofy behavior, major publicity and then even, sadly, an ugly act of jealousy. 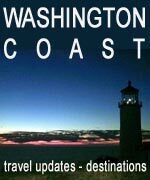 According to documents from the North Lincoln County Historical Museum in Lincoln City, it all started in the last week of March – in 1936 or 1933. Written testaments disagree on that. 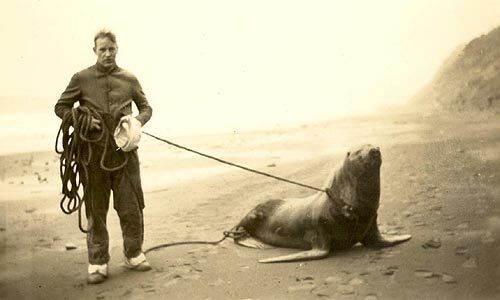 One document attests it was a “battle-scarred male sea lion,” found on the beach by a man named Dave Dewey. It was presumed the sea lion was looking for a cave to recuperate in. Another document talks of Joe actually making his way over picket fences, and either being found in the house or on the porch. It even pointed out he managed to not crush flowerpots or gardens. But Joe the Sea Lion certainly scared those inside. This was apparently his morning routine: he would bust out of his wire pen and then look for a home to crash. Anne Hall, curator of the museum, said he was also known for heading out into the ocean to catch his own fish. Apparently, however, he would not eat what humans tried to give him. She added he did become quite friendly and close to the humans, and did not appear to show aggression towards them. In fact, there was one notoriously hilarious interaction between people and beast: “during his residence ashore he had become fond of his captors and loved being bathed with a hose and having his back rubbed with a broom,” one resident wrote. Exactly how long he was around is unclear, according to Hall. Locals seem to indicate it wasn't much more than a week in the documents, but Hall believes it was a bit longer. Joe the Sea Lion was there long enough to grab some serious time in the spotlight. The Oregonian wrote about him and suddenly the little town had had over 5,000 visitors in a week or less. He was, by the standards of the time, bigger than Keiko the Killer Whale was at Oregon Coast Aquarium in the 90's. “Traffic was so intense that the streets had to be re-graveled,” one local wrote. Then, some sad and petty jealousy took over. The residents of nearby Taft – now the very southern end of Lincoln City – felt upstaged. Although in the end, it was indeed for the better for this wild animal. Another telling has Joe the Sea Lion complaining vigorously as he's put aboard that truck. It says “Joe complained every foot of the way.” Then officials chased him back into the ocean and made sure he swam away. Other reports show Joe actually came back briefly. He loved it here. Officials dragged him out again and returned him to the wild once more. 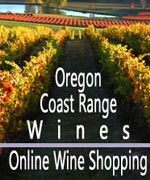 You can find more Lincoln City history at the North Lincoln County History Museum, 4907 SW Hwy 101, Lincoln City, Oregon. 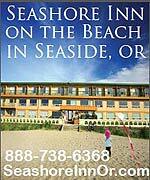 (541) 996-6614. Below: Joe is taken away by a game warden.Photo below that: there is a statue of Joe at the SW 35th access. 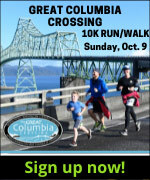 More about Lincoln City below that and at the Lincoln City Virtual Tour, Map.